Get your club fixtures and results on your website direct from Serva Sport. No more manual entry of fixtures & results. We will program a fixtures & results section of your website to automatically update when your clubs fixtures & results are updated on Serva Sport. No more incorrect fixtures or results, no duplicates, no confusion. 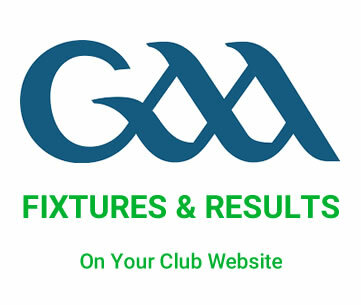 Official fixtures and results automatically and instantly updated on your GAA club website. Check out https://gaa.loughmorecastleiney.com as an example of how we have integrated these fixtures & results on this GAA club website. Prior to this the club secretary had to manually add and edit every fixture and results and update dates and times should fixtures change. This was a nightmare to try to ensue that all dates, times and scores were correct. With their new programmed system we automatically draw down the data from the Serva Sport System and the fixtures and results update in real time.